Below is the 2018 season recap for the New England Patriots. While the regular season had more bumps than usual, the Patriots found their groove in the playoffs to defeat the Los Angeles Rams and secure the sixth championship in franchise history. Trey Flowers continued to emerge as one of the league’s best edge defenders, tying for third with a 90.4 overall grade. Stephon Gilmore posted the top overall grade among cornerbacks at 90.7. His 18 pass breakups were five more than the next closest cornerback. Despite taking a step back from being the clear top quarterback in the league over the last few years, Tom Brady still ranked fifth in the league with a 90.7 overall grade. 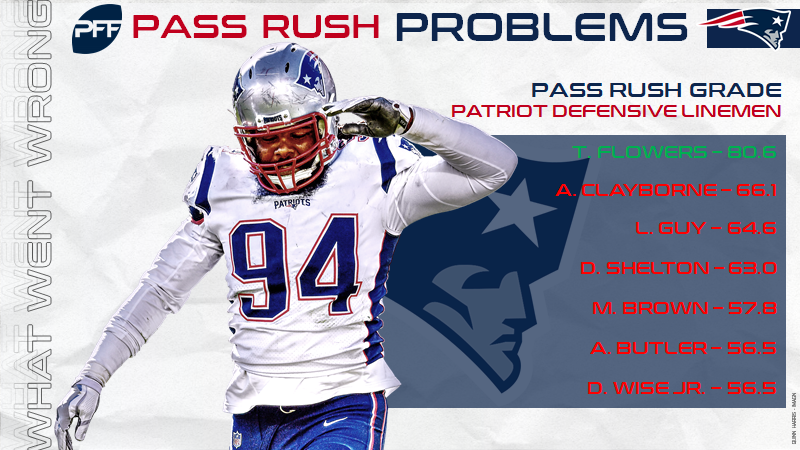 Inconsistency at the wide receiver led to the worst Patriots passing attack in six years. The outside receivers struggled, especially once Josh Gordon was off the roster. 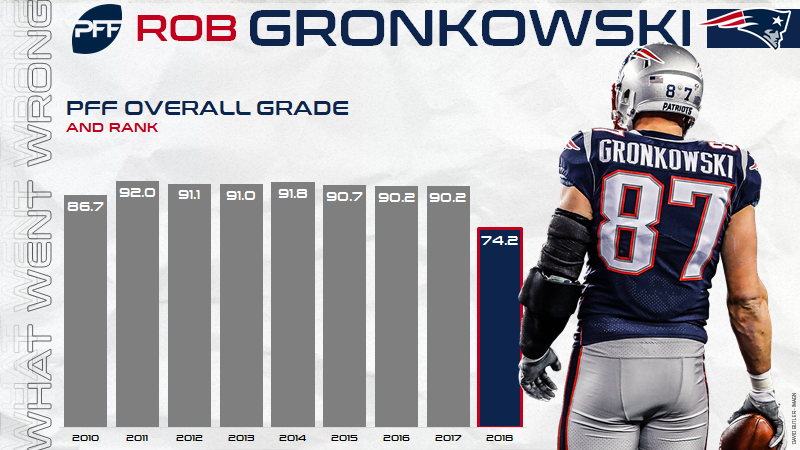 Future Hall of Fame tight end Rob Gronkowski battled multiple injuries and posted the lowest overall grade of his career at 74.2. The pass rush ranked sixth-worst in the NFL, with Adrian Clayborn finishing with the second-best pass-rush grade on the team at only 66.1. Brady had the offense’s highest grade, despite his 90.7 mark being the lowest he’s posted since 2014. He had the No. 5 grade under pressure and had the fifth-lowest percentage of turnover-worthy throws in the league. 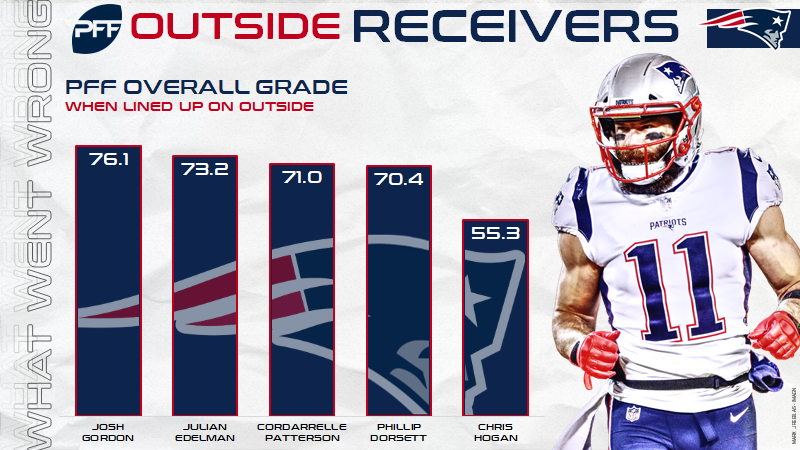 Gilmore had the highest grade on the defensive side, and he was the key cog in New England’s man-coverage scheme. Opponents completed only 44.0 percent of passes into his coverage including the playoffs, best in the NFL. 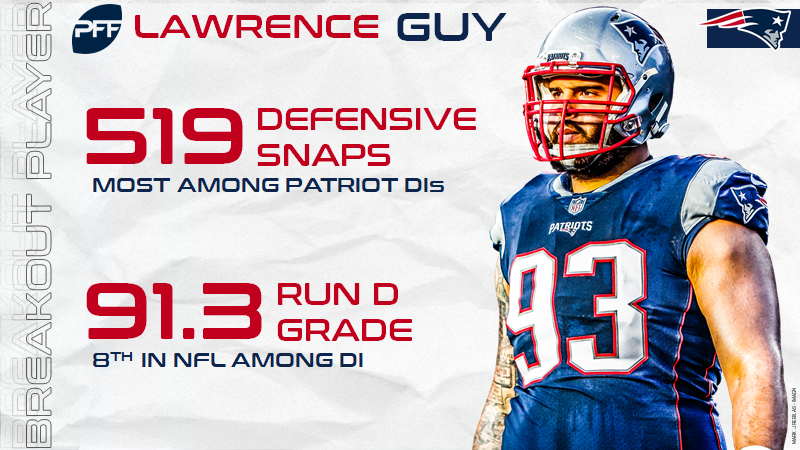 An unsung hero on the defensive side, interior defensive lineman Lawrence Guy ranked eighth among interior defensive linemen with a 91.3 grade against the run while playing 519 snaps on the season. 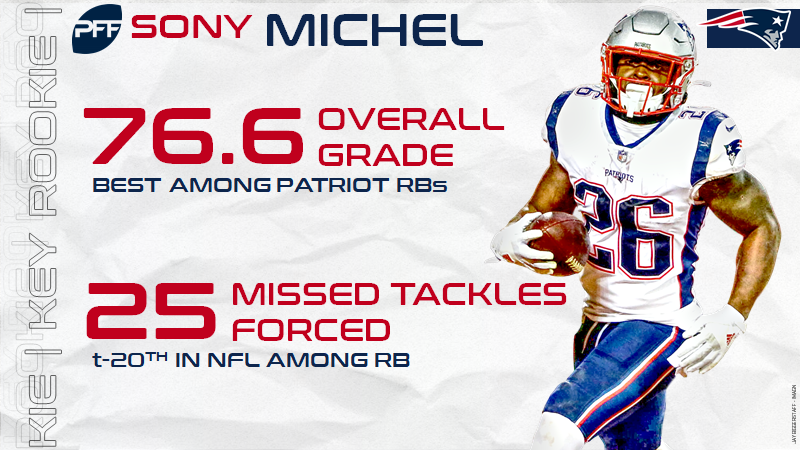 First-round running back Sony Michel got off to a slow start, but he finished with a solid 76.6 overall grade while forcing 25 missed tackles on his 209 carries. The Patriots overcame a few regular season missteps to make yet another championship run, and as long as Bill Belichick and Tom Brady are working together, potential championships are always in sight.